Scribe Media discusses the future of books, and how e-books could possibly be the future – or at least part of it. Its a fascinating discussion with Bob Stein who is the Director of the Institute for Future of the Book – futureofthebook.org – and it well worth listening if you have a spare 40 minutes. Thanks for sending in the snap Raaj. 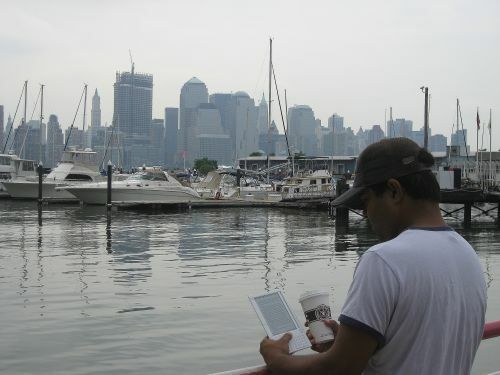 If you have an image that you would like to submit for Kindle Photo of the Day, then please get in touch! you can send the image via email to – please make sure you include your name and a link to your site.